I think this is my favorite way to eat my oatmeal. And even if we’re out of fruits at home we always still have some apple somewhere left so for me this is the perfect back up. When it’s almost boiling or boiling reduce to medium heat and add oats. If you want to add some flaxseeds or chiaseeds do so now. Add the pinch of salt, cinnamon and raisins. 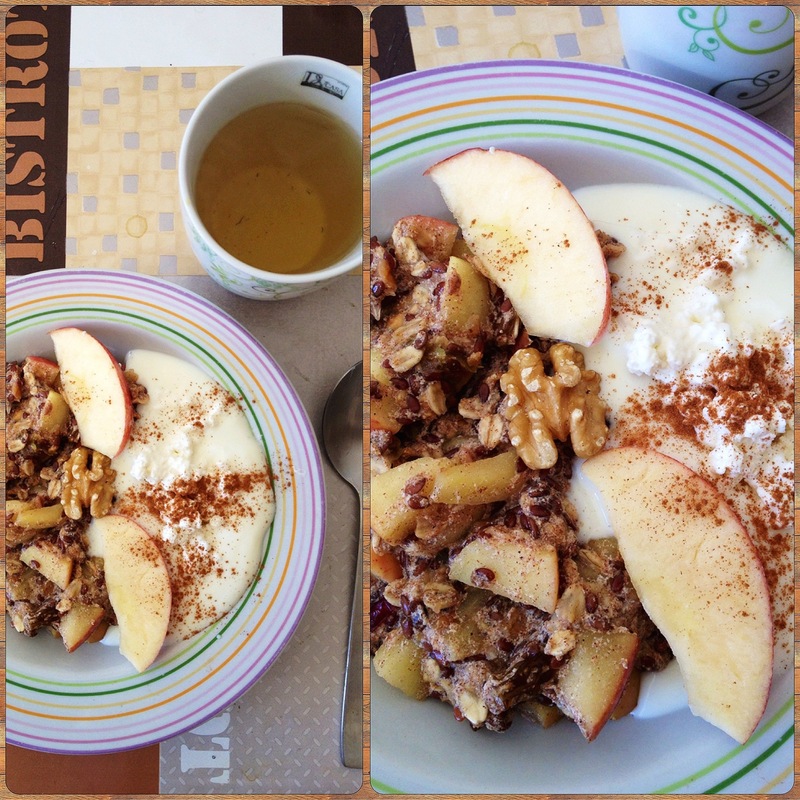 I topped it some natural low fat yogurt, cottage cheese and more cinnamon. Ik heb het vanochtend geprobeerd, erg lekker! Veel lekkerder dan ik – als fervent broodeter – eigenlijk had verwacht van havermout. Dit ontbijt ga ik zeker onthouden!